The content comprises articles, infographics, blogposts, pictures and videos. 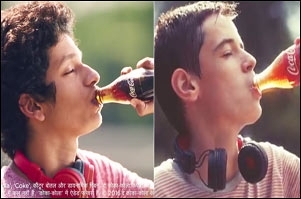 Yesterday, Coca-Cola India announced the launch of 'Journey', a digital magazine. Says the brand team in a press release, "The previous website is now succeeded by a dynamic and multimedia-rich responsive digital platform that shares Coca-Cola stories in an interesting and engaging manner..."
The note goes on, "... Coca-Cola India's Journey is on a mission to unravel untold editorial gems from the world of Coca-Cola in India and elsewhere. This valuable digital property maintains a fine balance between great user experience, simple functionality, and easily discoverable compelling content." "The home page lists various sections containing brand-related information, opinions, stories about the lives of people and communities that the company has touched and much more. It also contains a section on the rich heritage and remarkable history of the company. Then there are top songs from Coke Studio, behind-the-song stories, and quite a bit that fans would like to know about their favourite Coke Studio artistes. What's more, there are fun facts and amusing trivia about the company and its loved brands. Plus there are recipes that can be tried using quality products from the company," says the brand team. 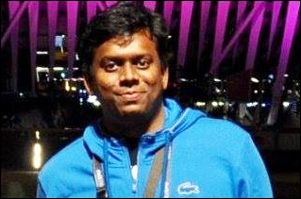 Though new in India, the brand has explored this digital magazine format across other markets in the past. "Over the last three years, the Journey family has grown to 20+ sites, spanning more than 30 countries around the globe and 14 languages. These country and regional sites share a similar look-and-feel with our flagship site, but are published in the local language and produced by local Coca-Cola communications teams for local readers," says the team in a recently published article on its e-magazine. In the same article, under a sub-head titled 'The Indian Journey', the copy reads, "After launching in over 30 countries, Journey has come to India in 2017..."
The article goes on, "Journey was originally a quarterly internal magazine the company published from 1987 until 1997... Journey's people-driven feature stories, professional photography and glossy, high-end production made it a hit with associates worldwide in the pre-Internet era..."
When the time to re-launch the brand's official website came, "Coke's digital communications and social media team decided to bring back the name as a modern version of the original concept." 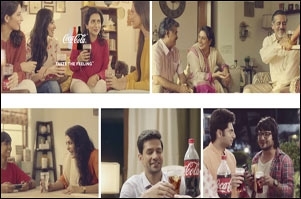 Coca-Cola on ad strategy: "Create campaign with Indian context, but highlight brand's universal appeal"